At Barney's house, imagination can make anything happen at any time. That's why BJ, Baby Bop, and some of their young friends are treated to surprising inventions, rock 'n' roll singing birds, a web-surfing mouse, storybook visitors and much more! But the most important and suprising visitor to Barney's home is ... You! 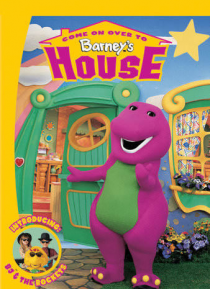 Welcome to Barney's house!